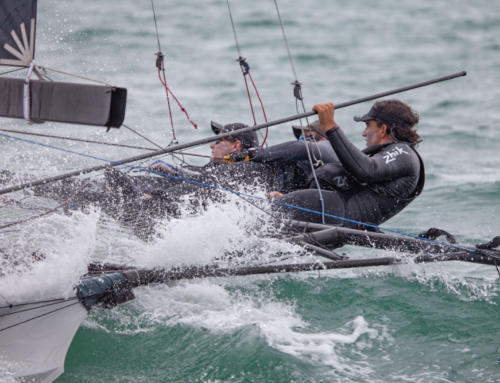 Over two weekends, the New Zealand 18′ Skiff fleet will race to decide their 2016 champion team. Nine boats have entered the regatta, which kicks off this weekend and wraps up on the 24th January. Alex Vallings, fresh from his win at the 12′ Skiff Interdominions, is back on the helm on C-Tech with a four up team. The unique quad format has proved to work in the past and Vallings is obviously hoping for a win in this regatta. Vallings has Scott Barnes, George Brassell and Andrew Clarke on board. 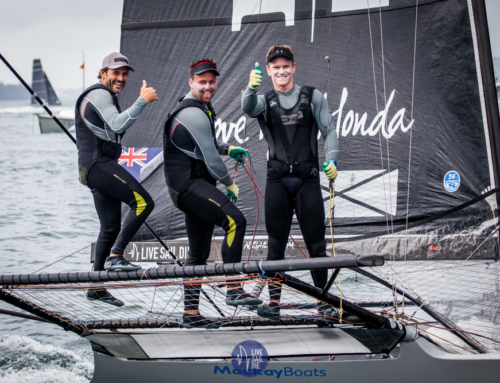 C-Tech also won the 18′ Skiff Auckland Championship. Yamaha is set to be C-Tech’s biggest threat with the team racing consistently in 2015. 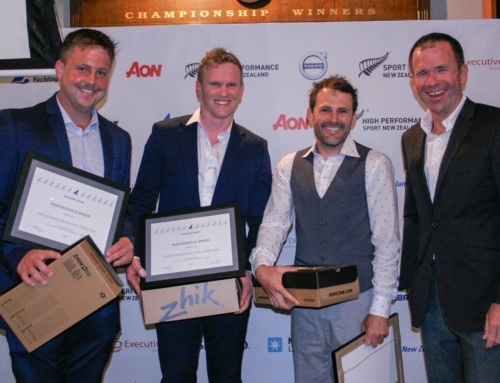 Finishing second in the Auckland Champs, Dave McDiarmid with Brad Collins and Matt Stevens are itching to knock C-Tech off the winners block. Two windward/leeward and one harbour course will be raced each day with the aim to complete 12 races over the two weekends.